A M3A1 Scout Car belonging to the 1st (US) Armored Regiment in 1940 at Fort Knox. 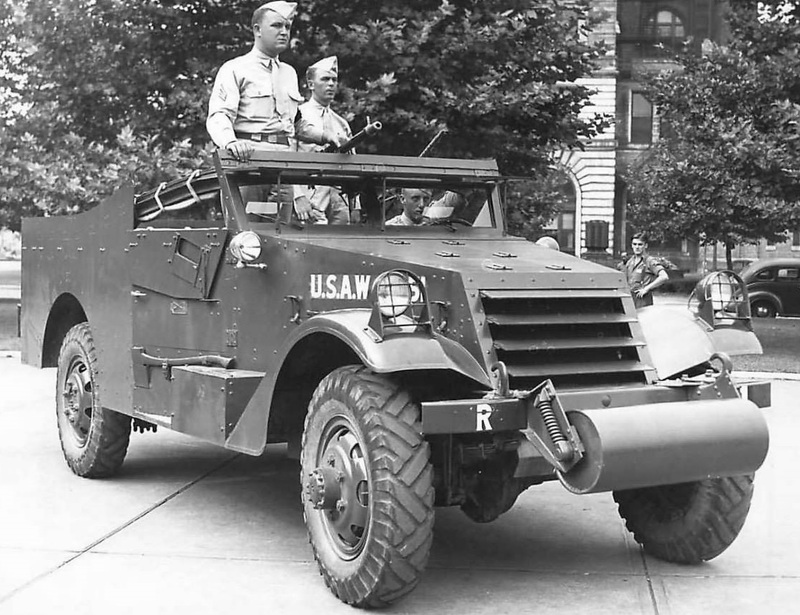 The M3 Scout Car, also known as the “White Scout Car”, is an American armored personnel carrier designed by the White Motor Company. The company responds to a 1937 call for tenders made by the US Army to equip its forces with a multi-role wheeled light armored vehicle capable of carrying seven equipped fighters whose body could be used for different purposes. Tactics: reconnaissance, command, medical evacuation… The “M3 Scout Car” corresponds, at least on paper, to an identified need for armored units. The prototype is immediately validated by the US Army, and the production of the vehicle can begin. The first feedbacks recommend the expansion of the hull and the installation of an unditching roller in the front of the vehicle, to improve its mobility: this new version, called M3A1, is produced from 1940. The scout car can be equipped with two machine guns mounted on fixed support, mainly to ensure its self-protection. Available for export, the M3 Scout Car is engaged in combat for the first time within the Armed Forces of the Philippines in 1941. It also equips the Chinese nationalist army in 1942. Nevertheless, this light armored vehicle does not make the unanimity in the United States: poorly armed, poorly protected and failing to keep pace with off-road tracked armored vehicles, the Americans are gradually relegating it to the sole function of a command vehicle. The British, who ordered several copies, also use it as a combat ambulance. During the Battle of Normandy in 1944, the M3 Scout Car is mainly used for the transport of command posts of the American and British armies. The many remaining copies are used to equip other allied armies such as the Soviet Union. The armored vehicle is also engaged in the ranks of the 1st Polish Armored Division, the 2nd French Armored Division or the Belgian Piron Group. After the Second World War, the M3 Scout Car is used by nearly thirty different nations: the Soviets use it as an artillery tractor, the French as an artillery observation vehicle during the conflicts in Indochina and Algeria, Israelis as a fighting vehicle. The M3 Scout Car remained in service in the Dominican Republic until the 1990s. July 26, 1944: a shell hit an ammunition depot in Normandy. 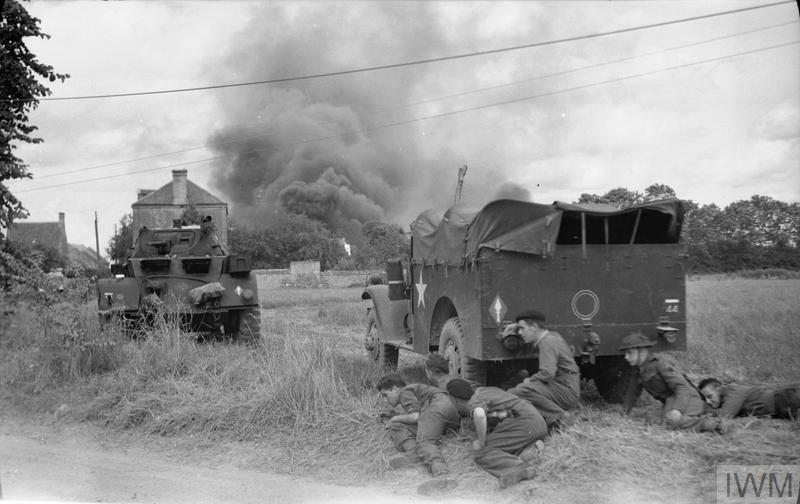 British soldiers find refuge behind an M3 Scout Car (right) and a Staghound reconnaissance vehicle, protecting from new explosions. 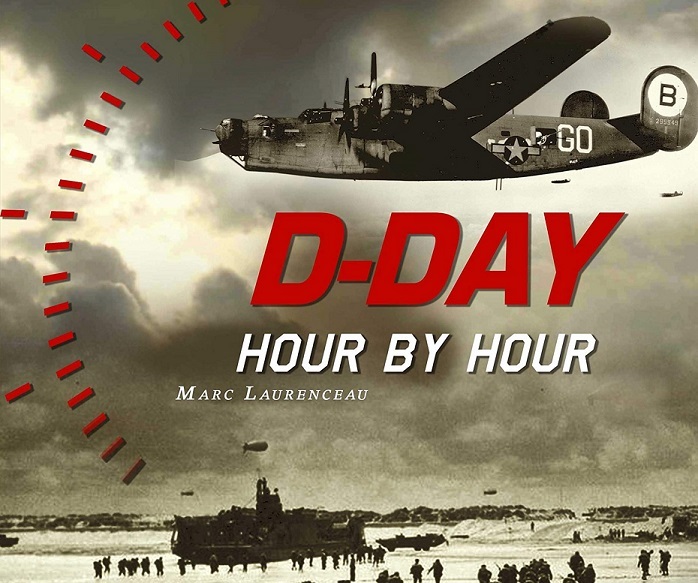 This richly illustrated book chronologically describes the course of Operation Overlord through 357 specific events. 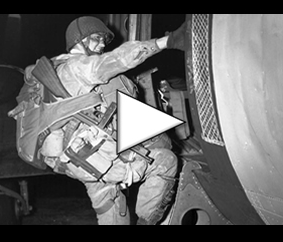 Take part in the memory of the Battle of Normandy by translating this website. D-Day Overlord © 2019. All Rights Reserved.